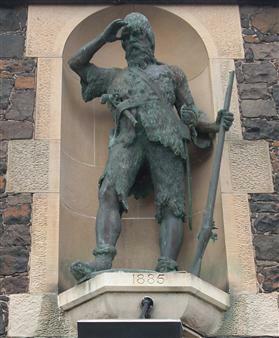 Scottish sailor, was born in 1676 in the Scottish village of Lower Largo, Lundin Links today. Alexander Selkirk was the son of a tanner. In his youth he showed a quarrelsome and unruly disposition, was not an obedient child. Alexander Selkirk decided to become a sailor, thirst for adventure led him. He participated in the pirate expeditions on the South Seas , and in 1703 joined with the famous buccaneers William Dampier, who was captain of the ship "Cinque Ports". On board this ship had 26 guns, and the crew was represented by 120 people. Selkirk served in the galley of a ship. In October 1704 Selkirk quarreled with Captain Dampier because of his bad temper and left the ship. He was put into the boat, which gave some equipment, and pointed to the ground. It was an uninhabited island in the archipelago Juan Fernandez Mas Afuera (Mas-a-Tierra), which translates as "the most remote." 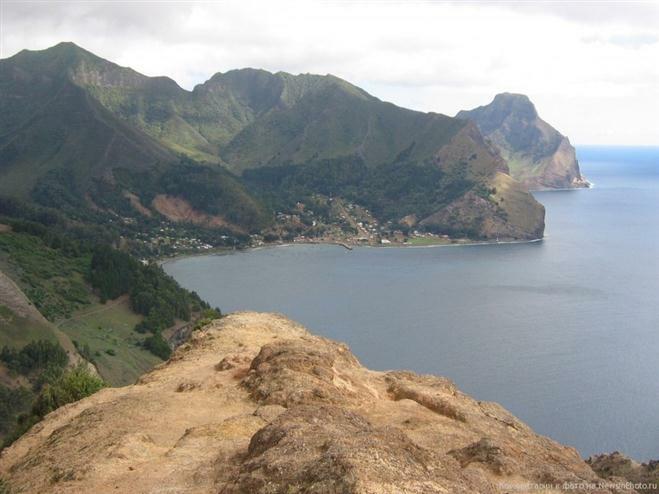 The island is cut up by mountain ranges, and its highest point is Mount Cerro de los Innosentes (1329 m). The island is not similar to those islands, which are usually shown in films about Robinson Crusoe, with an abundance of vegetation and paradisiacal beaches. However, Alexander lived on the island four years and four months in solitude, until he was rescued. 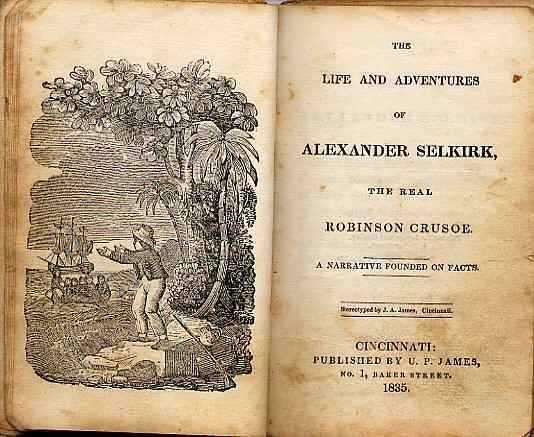 Alexander Selkirk was the prototype for the famous hero of Daniel Defoe - Robinson Crusoe. His familiarity with the Selkirk and inspired of the famous writer. He wrote his best work, which resounded throughout the world. At Alexander had some things necessary for survival, an axe, had a gun and a supply of gunpowder, and much more. Selkirk suffered from loneliness, getting used to the island, and gradually acquired the skills necessary for survival. At first it was a meager diet, he ate shellfish, but over time, and found himself at home on the island of its neighbors - the wild goats. Once upon people lived on the island and to have brought here goats, but after they left - goats became an wild. He hunted for them, thus adding to your diet so necessary for him a meat. He just tamed goats and to received milk from them. Of the crops he found wild turnips, cabbage and black pepper, as well as some berries. The danger to him represent a rat living on the island, but luckily for him, and lived on the island of many wild cats, previously brought by people on the island. In their company he could sleep without fear of rats. 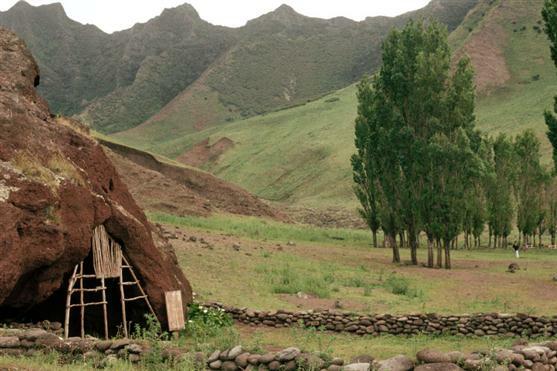 Alexander Selkirk built himself two huts from a tree and used them for their needs. Its reserves of gunpowder came to an end and he was forced to hunt the goats without it. He chased the goats on a foot, run to them around the island and how that time he carried away his do, and did not notice a precipice, and then he fell and lain there for a while. He miraculously survived. So that not forget the English language, he always read his Bible out loud, he was not a devout man, he did it because he did not want to forget an english speech. When his clothing was to wear out, he used goat skins for make a new clothing. But he was the son of a tanner, and therefore knew how to work with hides. Once, when his shoes are worn out - he did not make a new boots, because his feet, hardened calluses allowed him to walk without it. He also found the old hoops of casks and he was made a knife. Once on the island two ships arrived, but they were Spanish, and England and Spain in those days were the enemy. Selkirk could arrest or even kill him, since he was a privateer, and he decided for themselves to hide from them. Salvation came to him February 1, 1709, it was a British ship Duke, Captain Woodes Rogers, who called the Selkirk governor of the island. 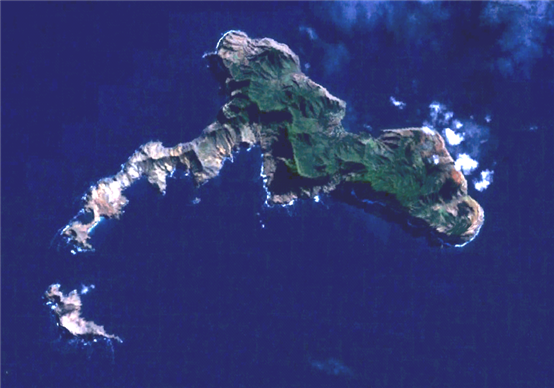 The island where Alexander Selkirk lived was called Robinson Crusoe Island, and he was named in honor of the nearby islands of the archipelago of Juan Fernandez.